This is the frosting you dream about. 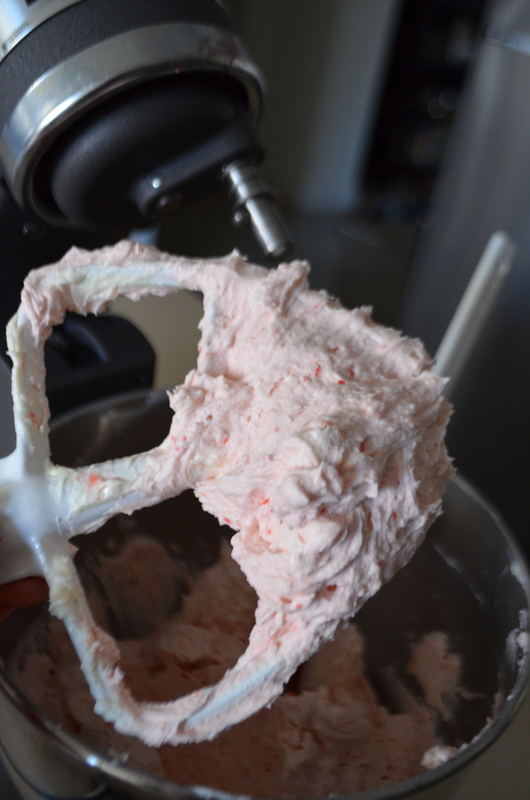 It tastes like strawberry ice cream and it will change the way you look at frosting. 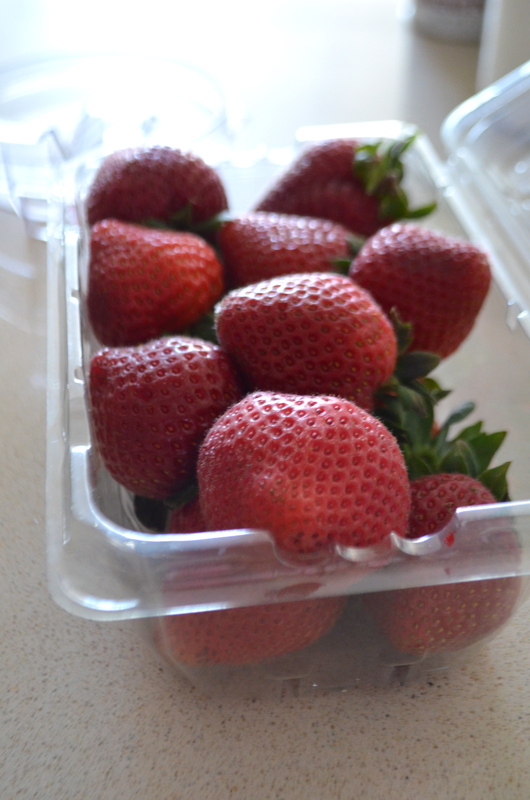 I made this to go on top of my strawberry cupcakes and let me tell you…it’s magic. Best of luck in trying not to eat the whole bowl before your cake/cupcakes are frosted! If you have not already pureed your strawberries, do so by placing them in a food processor and mixing until a sauce forms. 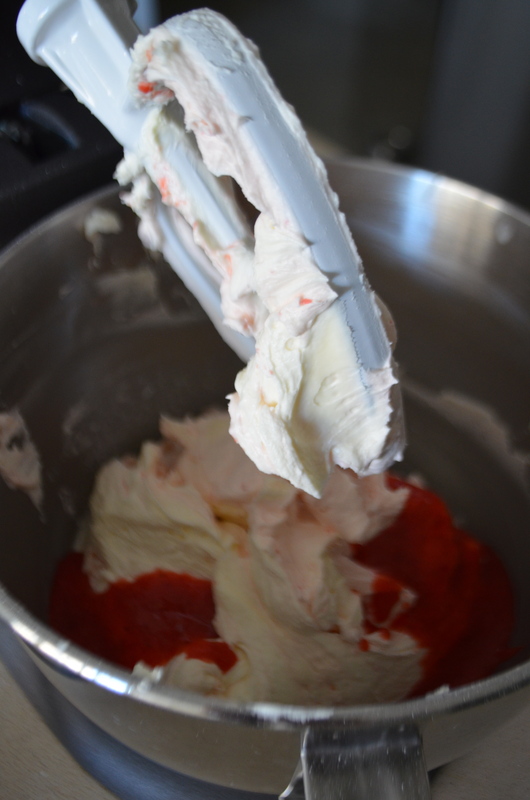 If you make the strawberry cupcakes, just make sure you have about 3 tablespoons reserved for the frosting. 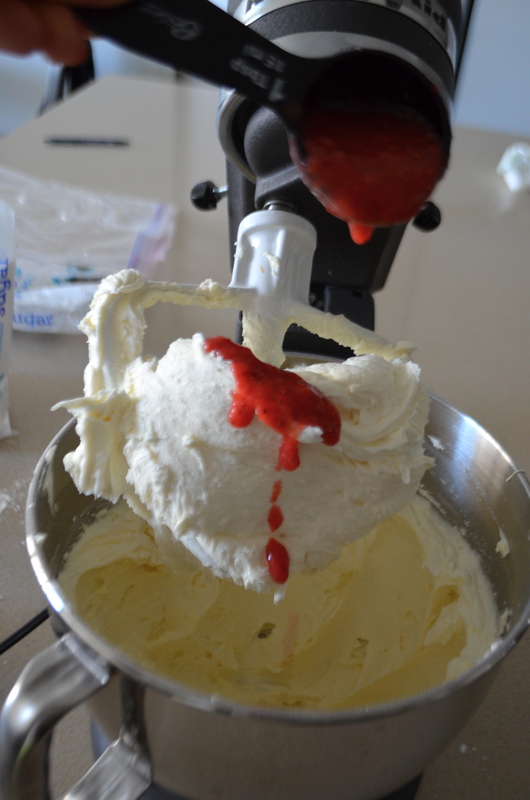 In a bowl of an electric mixer, cream butter until it is light and fluffy, anywhere between 3-5 minutes. Reduce mixer speed and slowly add confectioners sugar beating well until combined and turning up to a higher setting to reach a desired and fluffy texture. Add vanilla and 3 tablespoons of strawberry puree and blend for about 1 minute on low. Place in a pastry bag or frosting gun and frost cupcakes. Serve at room temperature (otherwise frosting will be really hard) and enjoy! I wonder if your butter is too warm. Sometimes if it’s hot in your kitchen/prep area your butter will melt too much and it will become loose. Try using no milk if possible at first as well to see if that helps. Maybe squeeze a little juice out of the strawberries as well. Hope that helps! Will the frosting be okay if I make a day before, refrigerate and use next day ? trying to get a head start on prep and wanted to use this frosting recipe for cupcakes and my daughters smash cake. Yes! Just take it out of the fridge a couple hours before so it can soften!